How much material can I send? We will buy as much gold, silver or platinum as you wish to sell. No matter how much you send, we will make it as easy and secure as possible for you to get it to us. Your shipment is automatically covered up to $500. If – based on your estimate using our “Prices We Pay” page – you believe that we would pay more than $500 for your items, before shipping please email or call us for special-handling assistance, at customerservice@ross-simonsgoldexchange.com or 1-877-307-9113. Do you pay for diamonds, semi-precious stones, or pearls? The price we offer is based only on the items’ gold, platinum, or silver content. We cannot remove, return, or compensate for stones. If your jewelry contains stones that you wish to keep, we encourage you to remove them before shipping. Tiny diamonds, however, are of negligible value and generally not worth the effort to remove them. What’s the procedure for sending my items securely to Ross-Simons Gold Exchange? Have us mail you a free shipping kit with insured USPS Priority Mail label attached. 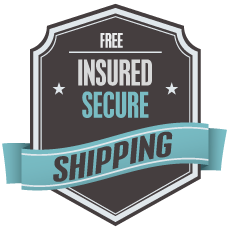 Print your free insured USPS Priority Mail label online for immediate shipping. Regardless of the option you select, you’ll receive a unique Transaction Number, a USPS tracking number, and an email confirmation. If you use our kit, simply follow the enclosed instructions. If you print your own label, be sure to pack your items in a sturdy, well-sealed padded shipping envelope or box. Remember to enclose a printout of your email confirmation, and affix your USPS label to the package. When your package is ready give to USPS, make sure it is scanned for acceptance by the U.S. Postal Service. USPS will not honor any claim for a lost package that has not been scanned to verify acceptance. Dropping your package in a mailbox, or handing it to USPS personnel without having the label scanned, may not guarantee valid proof of shipping. If you need assistance with our online form, or if you’d prefer to register via phone, call us at 1-877-307-9113 and we’ll be happy to help. May I send my items by another carrier besides USPS? Yes, but we only accept shipments from Sellers who have pre-registered and been assigned a unique Transaction Number. For easy identification by our system, please enclose a copy of the USPS label we provided. On the outside of your package, write your Transaction Number, and affix a shipping label from your preferred carrier (FedEx, UPS, etc.). Don’t forget to request adequate insurance, and get a receipt. After we receive and process your items, we’ll add up to $10 to your payment to compensate for your shipping cost. If your non-USPS shipment is lost or damaged in transit, you will be responsible for filing a claim with your carrier for reimbursement. May I ship my items in jewelry boxes? Yes, but we cannot return jewelry boxes or bags. Please don’t send us any packaging materials that you wish to keep. How long will it take for my shipment to get to your processing facility? Depending on your “Ship From” location, your shipment will take 1-3 business days to arrive. Sundays and major US legal holidays are excluded. How will I know when my package has safely arrived? You can track your shipment by logging in to our site as an Existing Seller, by visiting USPS.com and entering your tracking number, or by calling USPS at 1-800-ASK-USPS (1-800-275-8777). As soon as we receive your package, we’ll send you an email alert. We document the opening of your package by video, which enables you to observe your items being displayed and weighed by our knowledgeable, experienced assayers, and verifies that we received everything you enclosed. What if my shipment is damaged or lost in transit? On rare occasions, a package may be damaged or lost in transit. To prevent monetary loss, we strongly urge you to make sure that USPS electronically scans your label’s tracking barcode for acceptance into its system. Your shipment is automatically covered for up to $500. If – based on your estimate using our “Prices We Pay” page – you believe that we would pay more than $500 for your items, before shipping please email or call us for special-handling assistance, at customerservice@ross-simonsgoldexchange.com or 1-877-307-9113. We want you to have peace of mind when using our Gold Exchange program. We carefully keep track of every shipment given to USPS. If your package fails to arrive by its scheduled delivery date, we’ll immediately contact USPS and initiate tracing and claims procedures on your behalf, and we’ll continue to follow up with USPS until you are compensated. Please note: if you choose to use a carrier other than USPS, you will be responsible for filing any claims with your carrier. How do you assure the safety and security of my valuables? Your peace of mind is important to us, because you are entrusting us with your valuables and counting on us to pay you a fair price, and we value your trust. We take security extremely seriously, and assume full responsibility for your property while it is on our premises. All deliveries to our Refinement Services center are immediately logged into our system. Our video receiving method assures our Sellers of the highest level of transparency in the industry. Our facility is equipped with alarm systems and multiple surveillance cameras, and only two high-level staffers can access our vault – if neither one is on site, the vault cannot be opened. We are also insured by Jewelers Mutual Insurance Company. How do you assure my valuables will get an accurate evaluation? Our employees are carefully screened and trained in the latest, most accurate precious-metals assaying methods. Our scales are regularly tested and government-certified, and we weigh every item at least three times: (1) during the receiving video (at which time the gross weight of your items is recorded in our system), (2) during processing, and (3) upon final management approval – ensuring that nothing, no matter how small, ever falls through the cracks. How will my jewelry be tested? We use environmentally-friendly X-ray fluorescence (XRF) for the most accurate and reliable results. No toxic or corrosive chemicals are used in the testing of your jewelry. Our assayers also rigorously inspect each item, relying on their years of experience handling, scrutinizing, and evaluating countless precious-metal items of all kinds. How much will you pay me for my items? The amount we pay is based on precious-metal content only, because all of our Sellers’ items must be evaluated fairly, using the same criteria, and by the same standards. After you accept your payment, your items will be melted down for refinement. Should I enclose a copy of my items’ original purchase receipt or appraisal? Retail jewelry pricing is based on much more than only precious-metal value. It includes design, workmanship, labor, marketing, advertising, rent, salaries, etc. In fact, jewelry sold in stores is commonly marked up three to four times wholesale. And appraisals performed for marketing, legal, or insurance purposes are known to be grossly inflated to well over double the retail price. The bottom line is: what you originally paid – or had your jewelry appraised for – has little to do with what the actual gold is worth as scrap to be melted down and refined. It would be unrealistic to expect to receive anything like your original retail cost or appraisal value. If, however, you have unique or vintage pieces that are more valuable as jewelry than as scrap, please visit our Ross-Simons Estate Jewelry buying site: “Selling Your Fine Jewelry“. How quickly, and by what method, will I receive payment? Check sent by mail – you retain the option to decline the payment and have your items returned to you. Regular first-class mail generally takes 2-5 business days to arrive. PayPal instant online money transfer – you agree in advance that you accept your payment and that your items cannot be returned. PayPal may deduct a small fee. Will I know the amount before I receive it? No matter which payment method you’ve chosen, we’ll email you as soon as your payment is on its way. You are encouraged to log in to our site as an Existing Seller, watch your video, and review your itemized transaction details. You may also email or call us, at customerservice@ross-simonsgoldexchange.com or 1-877-307-9113, if you have questions. How do I indicate acceptance of my check payment? When you cash or deposit your check, we will consider your payment as accepted and your transaction as closed. Your items will be melted down for refinement and will no longer be returnable. What if I’m not satisfied with my check payment? Just mail back your uncashed check to: Refinement Services LLC, PO Box 507, 333 Pearsall Avenue, Suite 201, Cedarhurst, NY 11516. Once we receive your check, we’ll ship your items back to you, insured and at our expense. You will receive an email notification confirming your return shipment. I'm satisfied with my payment, but will you return any items found to be non-precious metal, that I was not paid for? Unfortunately, we cannot separate out specific items from shipments and return them. Please send only items you are willing to part with, if you later accept the payment. Just want to drop you a note to let you know how impressed I am with your system. It’s incredible!!! I will be sure to let family and friends know. Thank you so much! Thank you Ross Simons! My transaction was so smooth and my check was sent to me lightning fast. I was very pleased with the amount you gave me for my gold. You have such an impeccable reputation in the jewelry business, I knew I could trust you. I have already referred several of my friends. The whole transaction from start to finish was a very pleasant one. Thanks again. Just wanted to let you know I received the check yesterday and am very pleased with the whole experience. I am very pleased with the promptness of getting the check and also the amount. Thank you very much!